So another one of my favorite fabric designers - Heather Bailey - has a new free pattern. 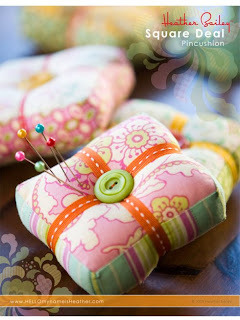 I never thought I could drool over a pincushion pattern - and yet here I am drooling. Hope you all enjoy! The sidebar on her blog has other free patterns and tutorials as well! Celebrating Forever with My Love!